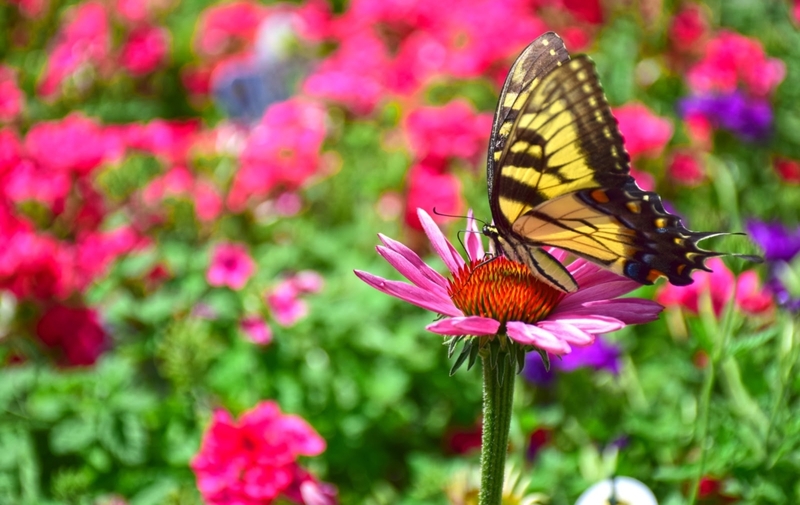 Throughout the growing season, we depend on bees, butterflies and other insects that transport pollen from plant to plant to fertilize our plants and successfully ensure that our gardens and farms generate seeds and fruit. 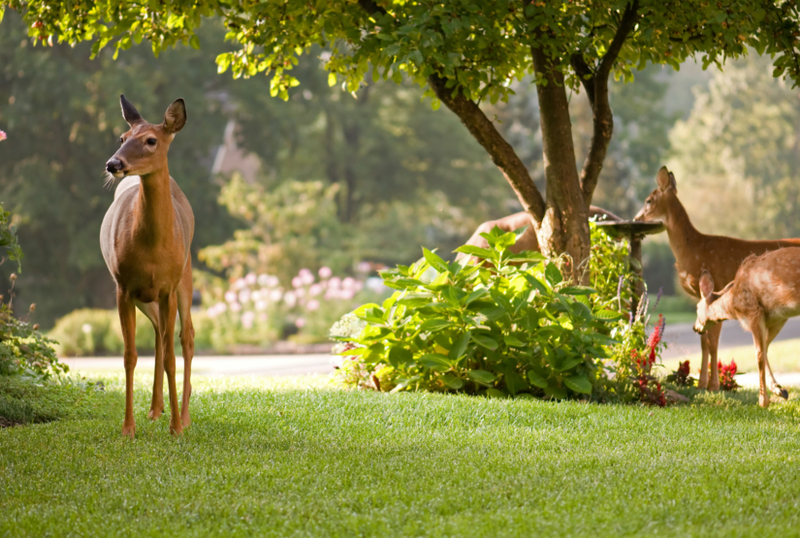 To welcome these creatures during the spring, summer and fall, we can plan our gardens to provide an abundance of blooms and nectar for them from early spring through the onset of winter. 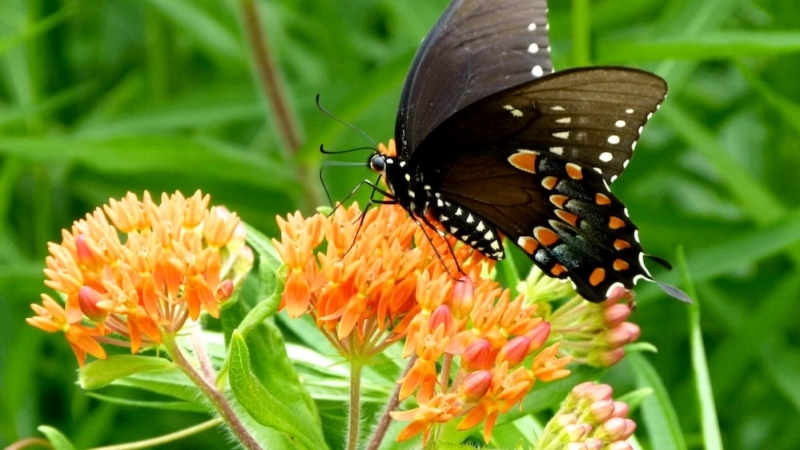 If you wish to welcome the bees, butterflies and other pollinators to your garden throughout the growing season, consider adding native plants to your garden that will bloom at various times from March to November, rather than planting so that you will experience one burst of bloom for a short period of time. 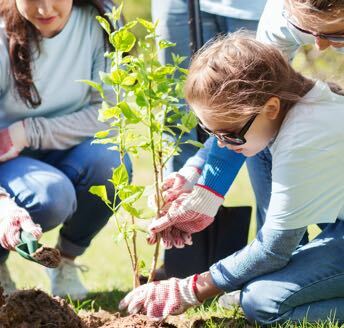 Much like our surrounding region, you can design a garden which will feature different blooming plants throughout the growing season to support butterflies and bees. 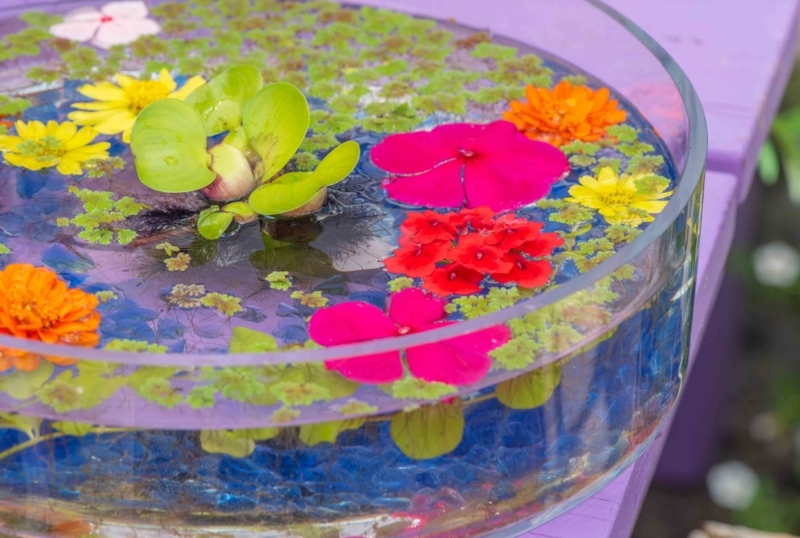 Consider these options for continuous bloom. 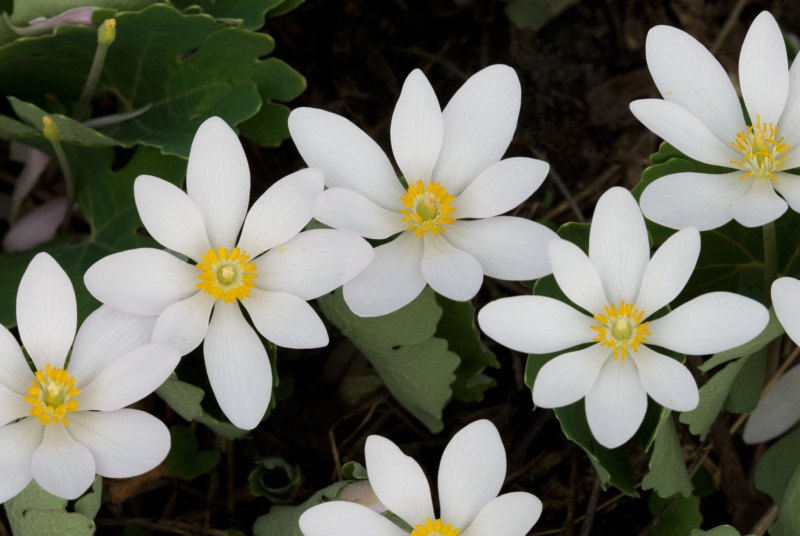 This white flower blooms in woodland gardens in part to full shade, making it a good choice for those with limited sunlight. This delicate flower can be grown in full sun to part shade. It is particularly attractive to hummingbirds and comes in colors ranging from light pink to dark red and blue. 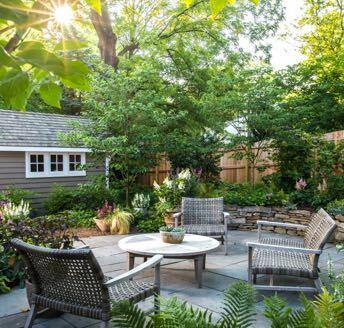 A good choice for shady gardens. 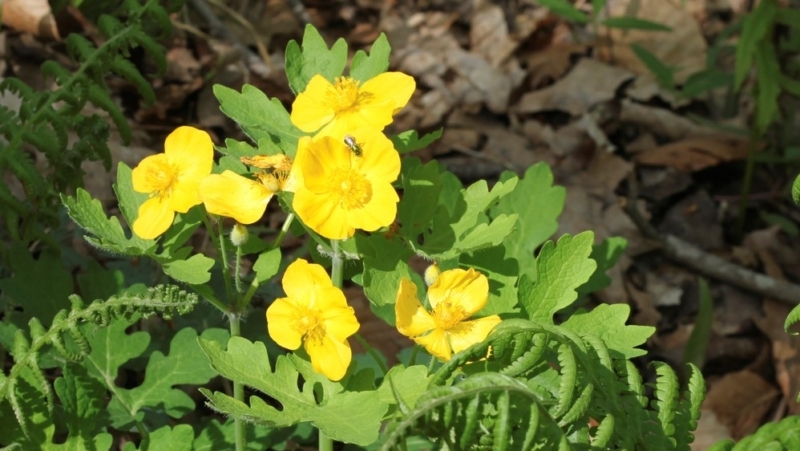 These plants are a native to the woodlands of our region and feature yellow flowers. 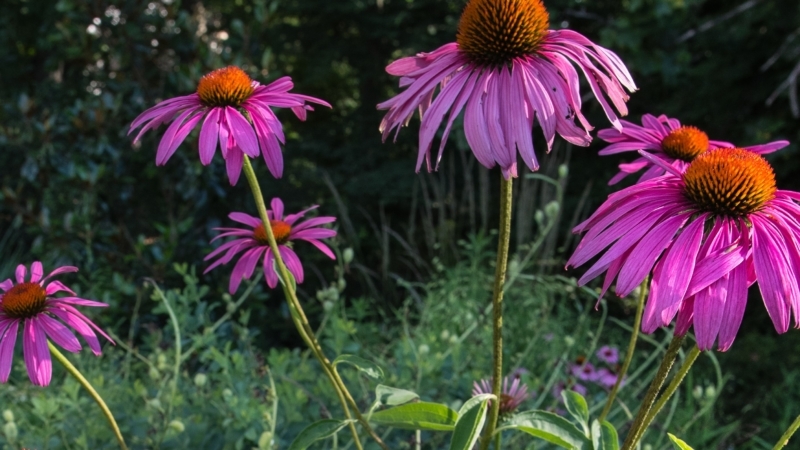 Purplish-pink blooms are attractive to butterflies and bloom throughout the summer. This plant is tolerant of drought when established. 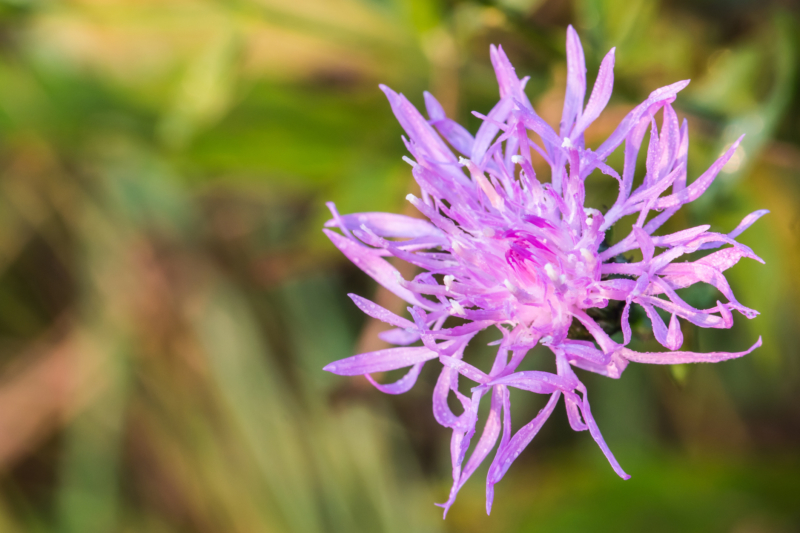 This member of the aster family features fluffy purple flowers atop talk spikes. 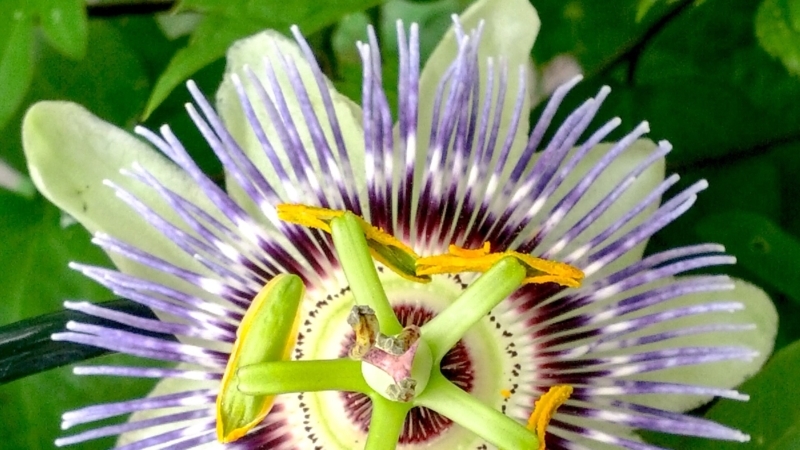 This flower grows well in moist areas and is tolerant of clay soil. A daisy-like yellow flower which is particularly attractive to butterflies. 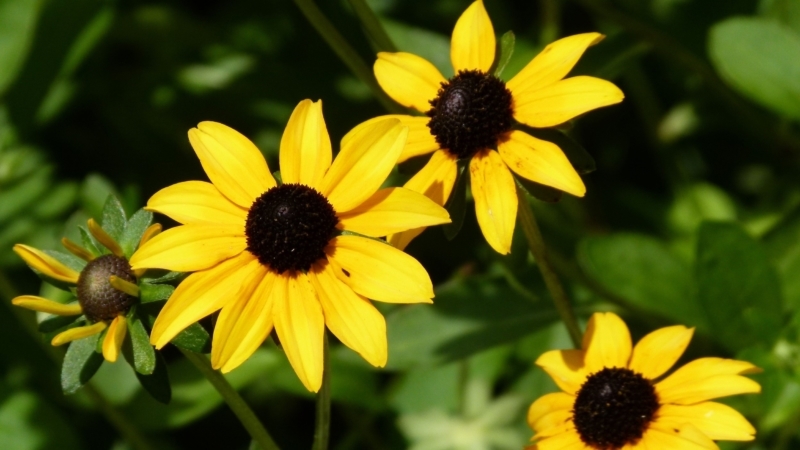 There are many rudbeckia species native to our region. This perennial grows best in wet soil and is native to wet locations in swamps and along streams. 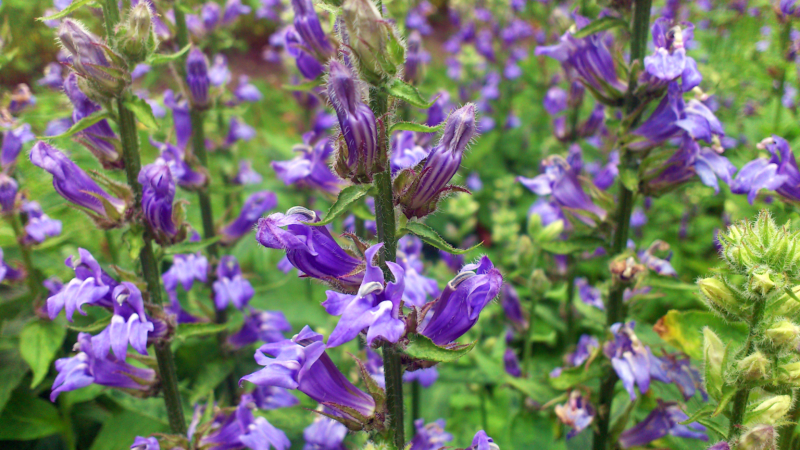 Blue tubular flowers grow in racemes reaching up to 3 feet tall. 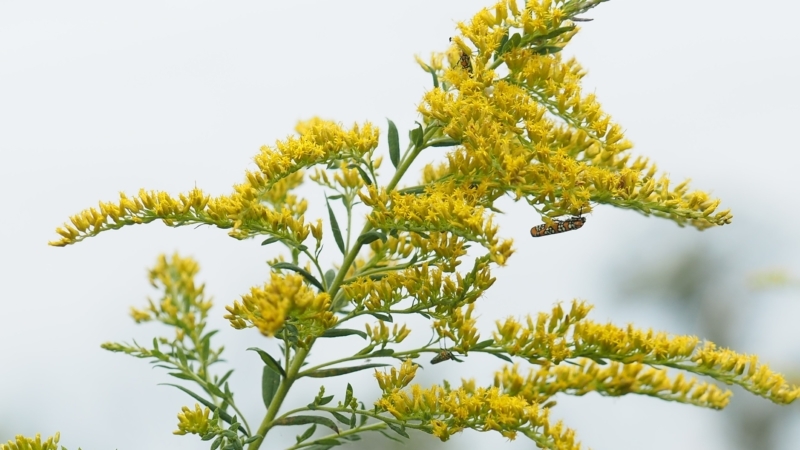 There are multiple native species of goldenrod blooming from late summer through the fall. 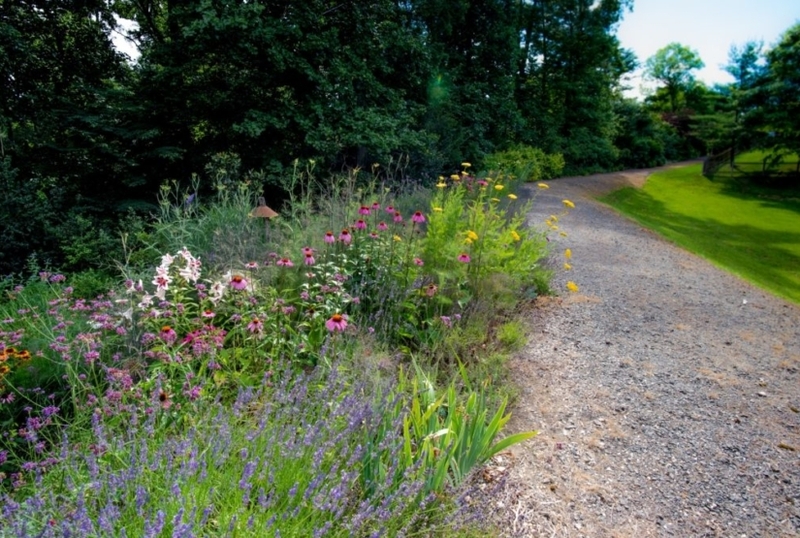 As a native to the region, it tolerates clay soil. 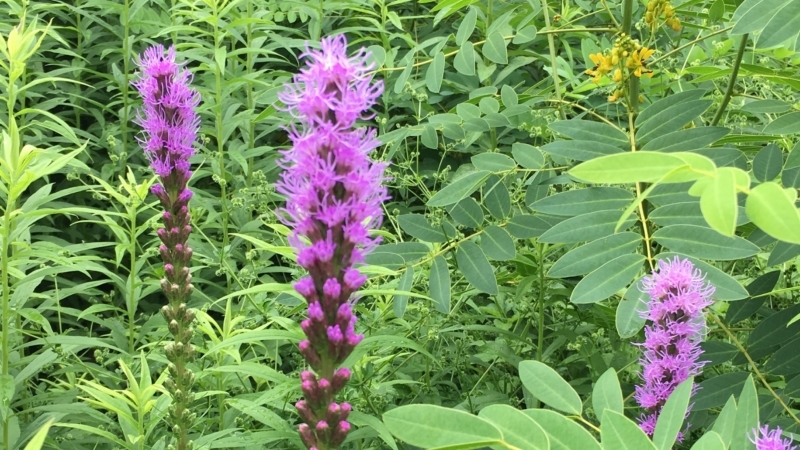 This perennial features purple composite flowers atop tall stems. 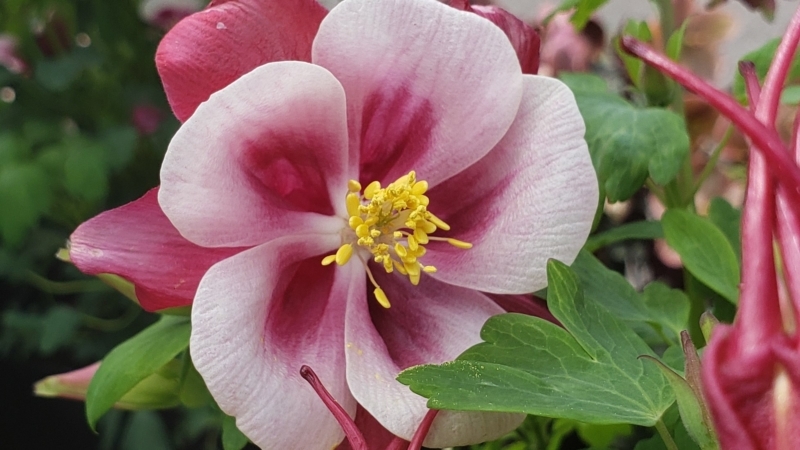 It is tolerant of wet and clay soil. It requires full sun. 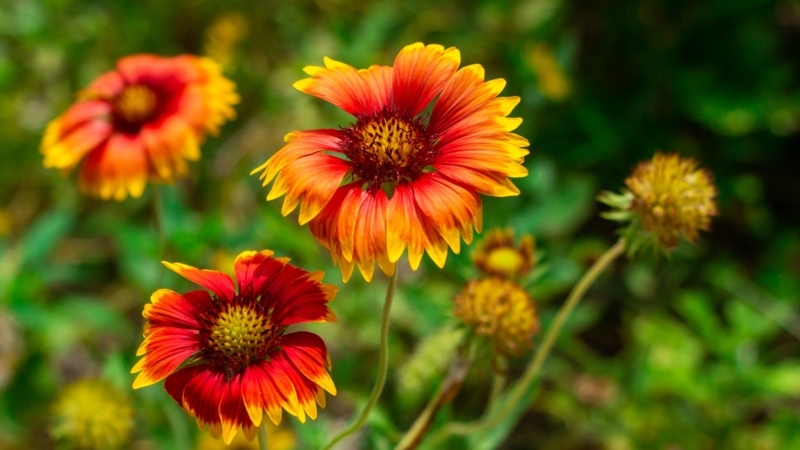 These plants bloom for most of the growing season, from May or June through fall. This milkweed species is a food source for monarch butterflies and a favorite nectar source of butterflies overall. This plant tolerates poor soil and dry heat. It’s petals may be red, yellow, or both. Consider leaving spent flowers for the birds. A climbing, drought tolerant vine with unique fringed flowers. The blooms are a particularly loved by bees.